Placing your legal ad in the Exchange...It's Easy! we reply with an exact price quote & ad proof within 1 business day, usually less! 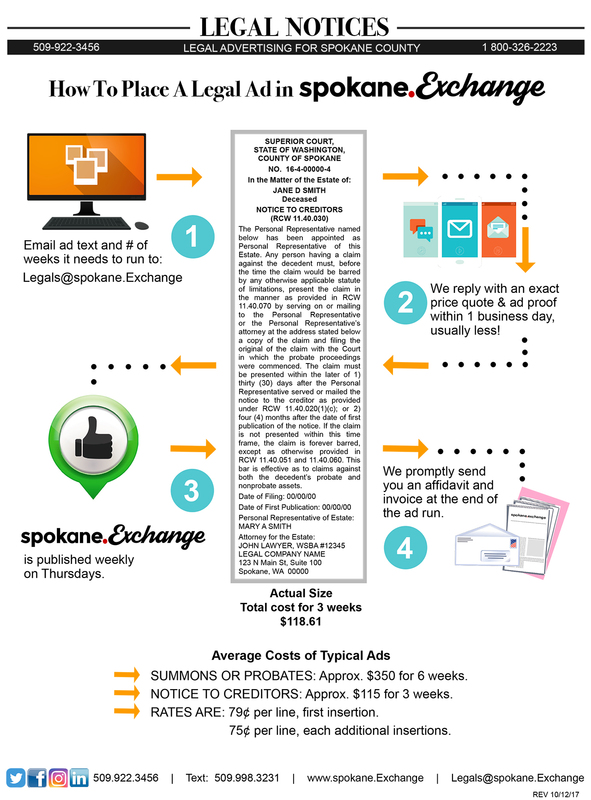 Spokane.Exchange Newspaper is Published Weekly on Thursdays. We promptly send you an affidavit and invoice at the end of the ad run. Our legal rates are $0.79 per line, first insertion, then $0.75 per line each additional insertion.